I have had my Riley for about 12 years and neglected her as i stored her in my brother-in-laws garage during this time the old tin worm has set in aswell as damp. 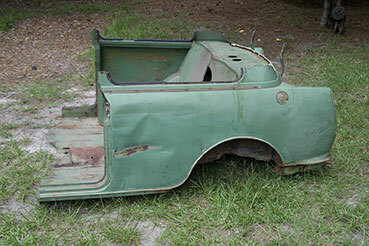 So i have now got her back in my garage and dried out so intend to start the restoration this year wish me look. I also have the remains of a Wolseley Hornet HXS629 so if anyone needs a rear end i am looking to sell its been chopped so both the rear panels are still complete. Out of curiosity, how much and whereabouts?